This ScalaBridge Workshop will be held in association with the 10th Anniversary of Scala Days in Lausanne, Switzerland! This workshop is intended to reach out to women, non-binary people, and all underrepresented populations who are interested in learning Scala. But is welcoming to all who are supportive of the cause. All members must agree to abide by the code of conduct. In this workshop, we'll take you through the basics of functional programming in Scala, a powerful language that has uses in everything from web applications to data science to large-scale distributed systems. By the end of the day, you'll have built several doodles, have a basic understanding of functional programming, and a grasp of Scala fundamentals. 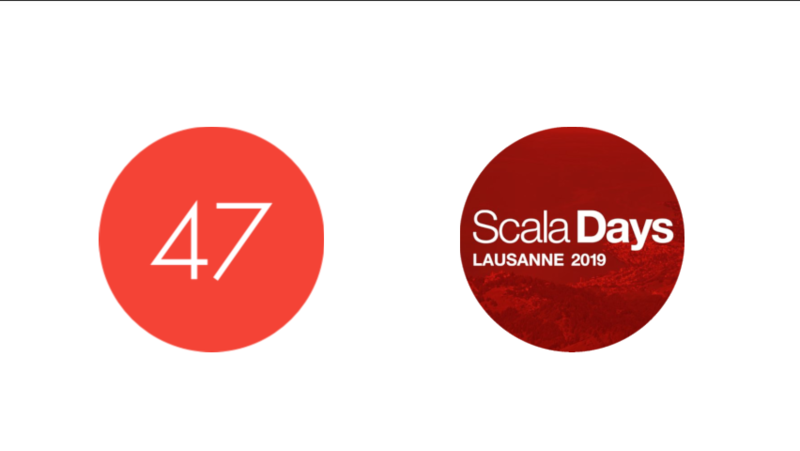 47 Degrees is proud to be the organizing sponsor of this event in association with Scala Days. 47 Degrees is a global consulting firm specializing in enterprise platform modernization, microservices architectures, mobile application development, and big data solutions, all using proven functional programming expertise. Since 2010, we continue to refine our razor-sharp & world-class focus on services, support, consulting, and training in Functional Programming for Scala, Kotlin, and Swift. We're also open source advocates and devote considerable time and resources into projects for the good of the ecosystem. 47 Degrees also organizes the Lambda World conferences in Spain and Seattle, WA, as well as the largest Scala Meetup in the Pacific Northwest, Scala at the Sea. The workshop will be held at the EPFL campus. There is ample parking on campus, as well as a variety of options for transit from downtown. More details will be posted when the exact campus location is determined. Food and drinks will be provided courtesy of 47 Degrees.